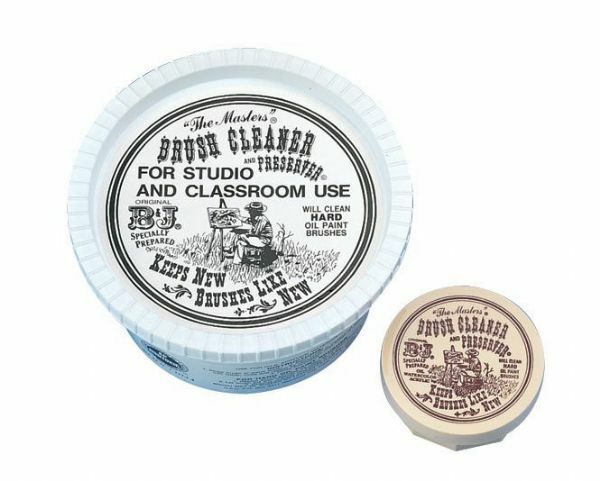 Keep brushes like new with this lemon-scented cleaner and preserver. 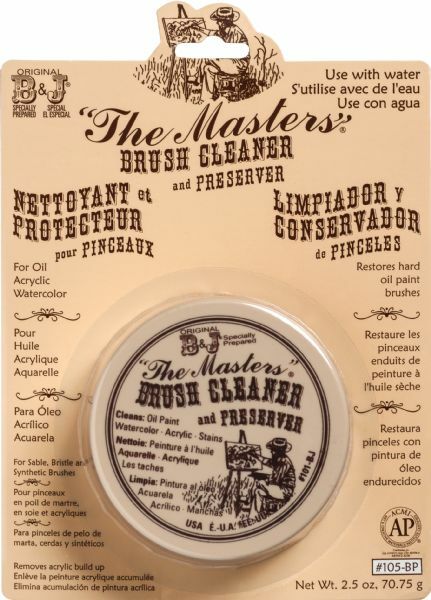 * Even old hardened oil paint brushes may be restored to their original snap and luster. * Non-toxic water-soluble cleaning compound works safely on oils acrylics or watercolors. * Rinse brush under warm water swirl it in the cleaner until a lather forms then rinse. * Repeat if necessary until brush is clean. 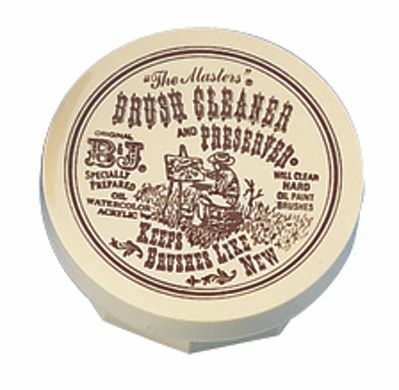 * No harmful fumes or odors. 2.75" x 2.75" x 1.25"